Coordinates are numbers which determine the position of a point or a shape in a particular space. 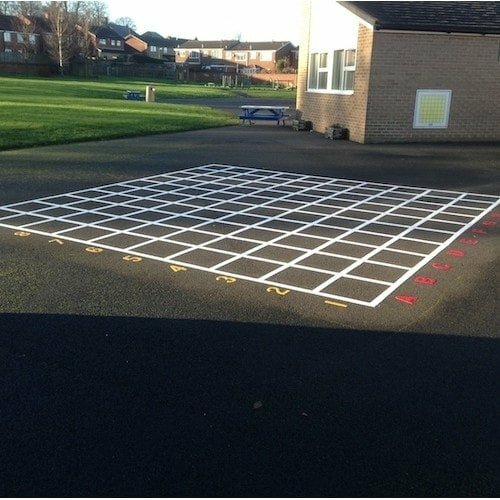 In primary schools children are taught Cartesian coordinates, which are introduced in year 4. 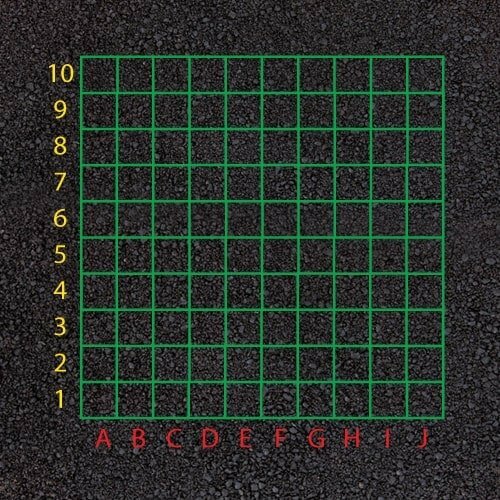 Points are marked by how far alone the horizontal and vertical axis. 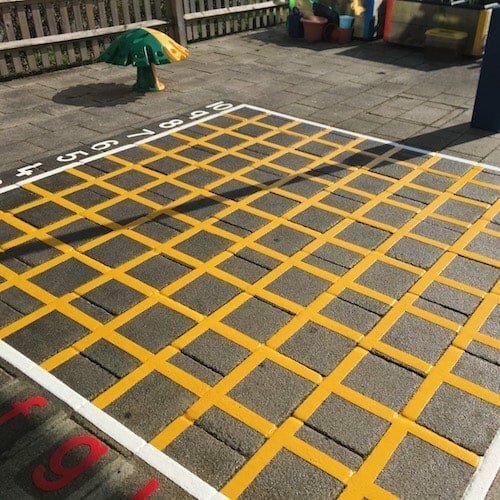 Playground coordinates grid with 10 x 10 squares using lines. 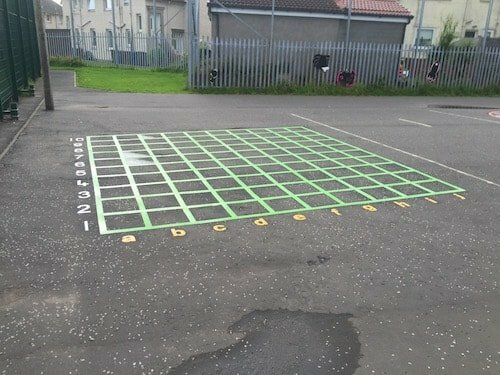 Ideal teaching aid for children to learn mathematics.